The Lagos State Commissioner for Energy and Mineral Resources, Oluwo Olawale, has resigned. Mr Oluwo announcement his resignation in a letter addressed to the APC Chairman in the state and sent to Channels Television on Wednesday. He explained that he took the decision as a result of the events that played out at the party’s state primary held in October. 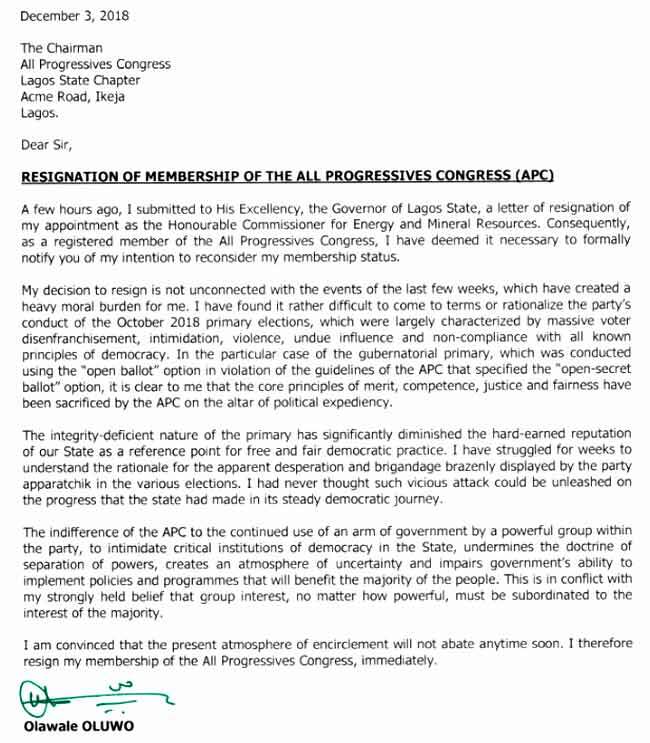 Apart from resigning his position as a commissioner, he also announced his defection from the APC. Read the full letter written by the commissioner below.